SEOUL, Jan. 23 (Xinhua) -- South Korea's defense ministry on Wednesday strongly denounced Japan as a Japanese patrol plane conducted a low-altitude flight near a South Korean battleship, which the ministry called "threatening." The Seoul ministry said in a statement that a Japanese patrol plane flew close to a South Korean battleship as low as 60-70 meters and as close as 540 meters in waters off the southwest coast at about 2:03 p.m. local time (0503 GMT). Calling it a low-altitude, threatening flight, the ministry noted that it was clearly a "provocative act." It came amid the ongoing radar spat between Seoul and Tokyo. The Japanese defense ministry claimed that a South Korean destroyer locked its fire-control radar on a Japanese patrol aircraft on Dec. 20 last year, flatly denied by the South Korean side. 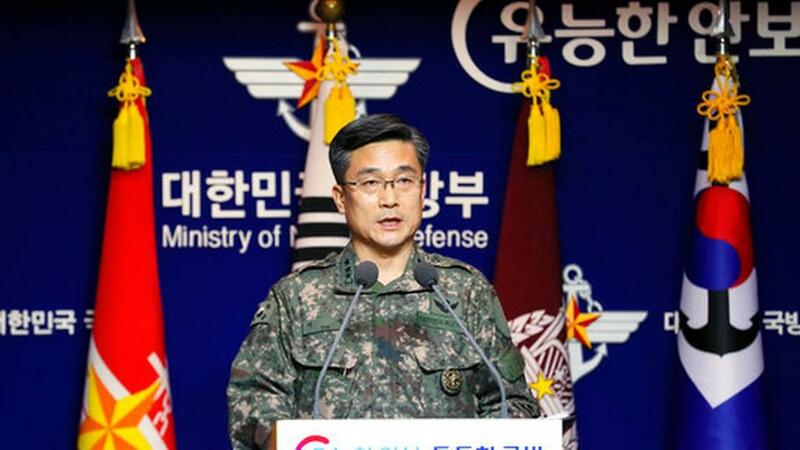 In response, the Seoul defense ministry said the Japanese patrol plane flew low toward the South Korean destroyer, which was on a humanitarian mission to rescue a fishing boat drifting in international waters of the East Sea.